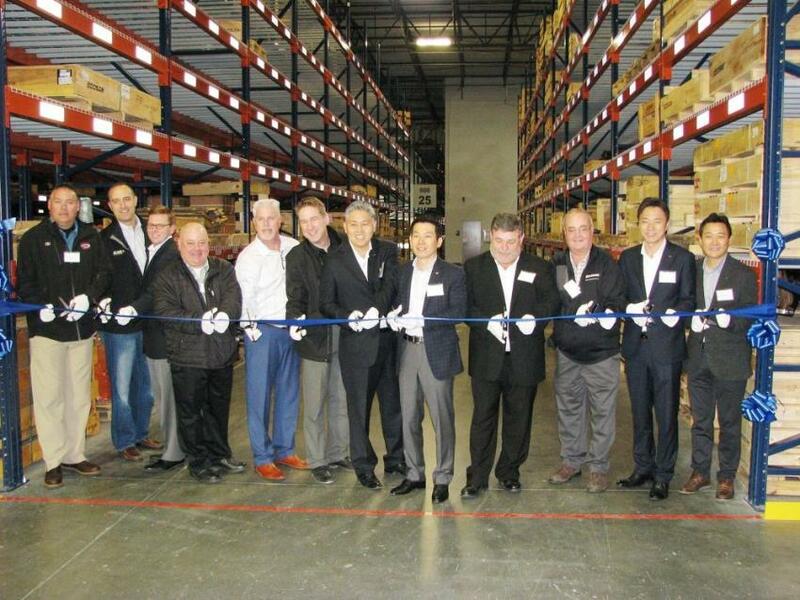 Doosan Infracore North America LLC, a manufacturer of heavy construction equipment, recently opened a new 100,000-sq.-ft. parts distribution center serving its dealers and customers in the United States and Canada. Strategically located adjacent to the Doosan Infracore North America headquarters in Suwanee, Ga., approximately 30 mi. 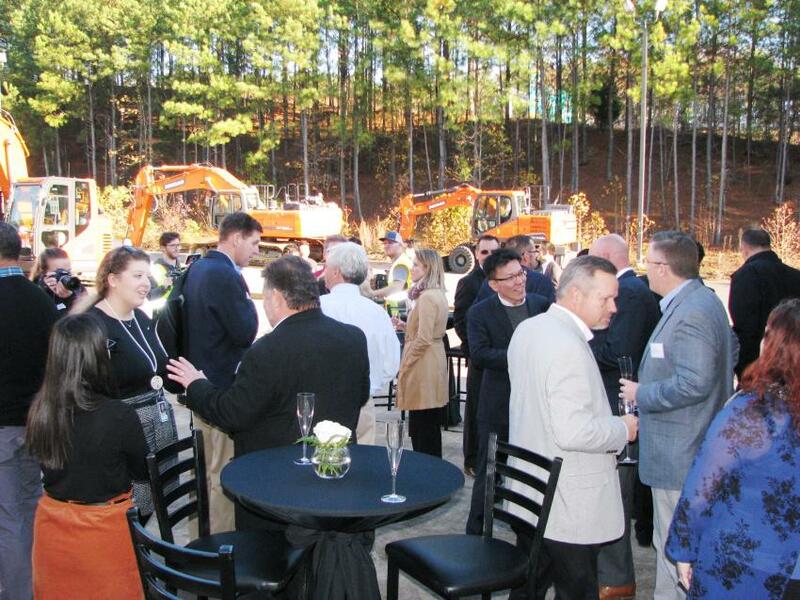 northeast of Atlanta, the new parts distribution center allows Doosan Infracore North America to provide both dealers and customers with better service options, deeper inventory and faster parts delivery. "Doosan is committed to being a top-five construction equipment brand in North America, and this new parts distribution center illustrates our promise to support our dealers and our customers with parts availability and prompt delivery," said Edward Song, CEO, Doosan Infracore North America LLC. "We can significantly reduce shipping costs and we can provide less than two-day delivery on a majority of our genuine Doosan parts delivered from our dedicated warehouse." The facility is designed for Doosan parts distribution and shipping. It is managed by DHL Supply Chain — the Americas' leader in contract logistics. 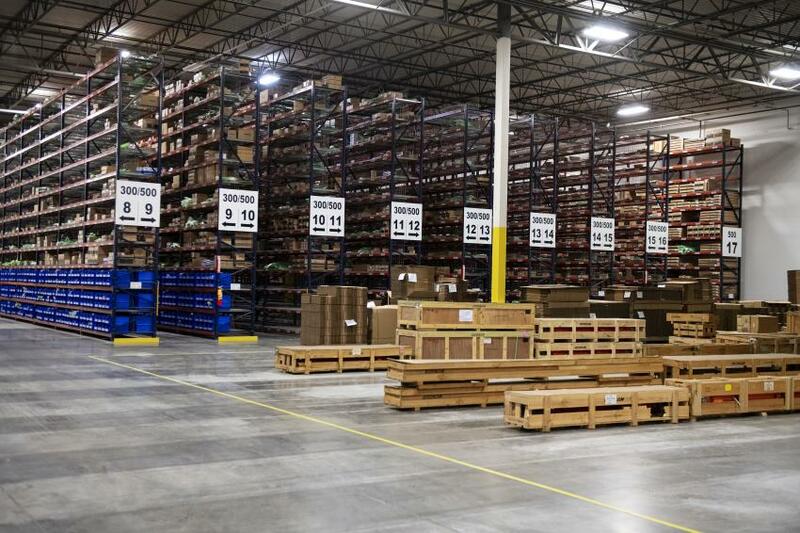 The center will stock approximately 40,000 stock keeping units (SKUs) that can be shipped to service Doosan construction equipment throughout the United States and Canada. The parts distribution center will house a majority of Doosan parts, with only some low-volume parts needing to come from Doosan manufacturing facilities around the globe. DHL Supply Chain will provide outbound less-than-load (LTL) transportation to Doosan equipment dealers located in the United States and Canada. "This is really a signal of our commitment to our Doosan customers in the United States and Canada," said Clay Caldwell, Doosan director of parts and supply chain. "Working with DHL Supply Chain allows us to reduce our order cycle times to ensure our customers are receiving critical replacement parts quickly and efficiently. We're excited to work with a partner that not only understands our business and markets but has the capabilities to provide strategic warehousing options and seamless transportation integration." Doosan staff and some of the dealers in attendance prepare to cut the ribbon marking the official opening of the center. Located in Suwanee, Ga., about 30 mi. 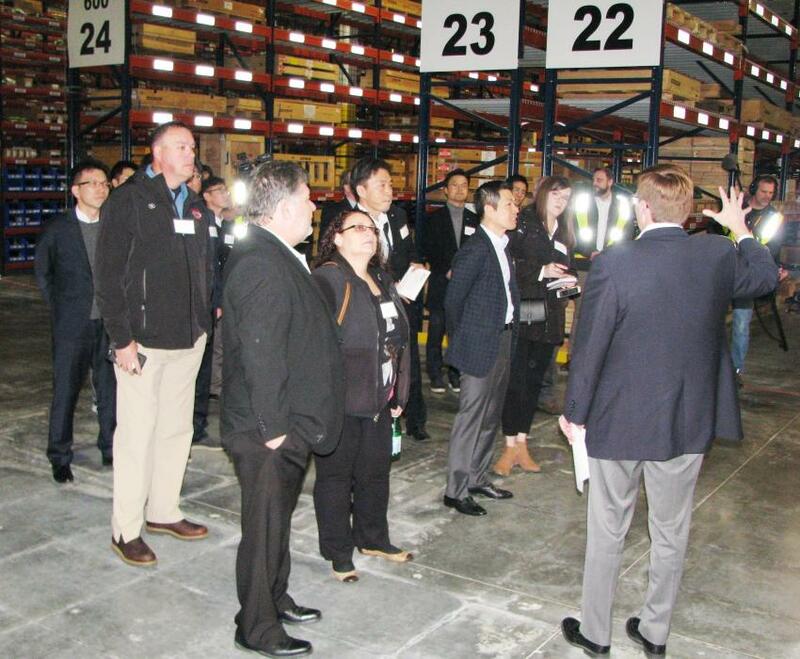 northeast of Atlanta, the new parts distribution center allows Doosan Infracore North America to provide both dealers and customers with deeper inventory and faster delivery. Edward Song, CEO of Doosan Infracore North America, speaks at the event. 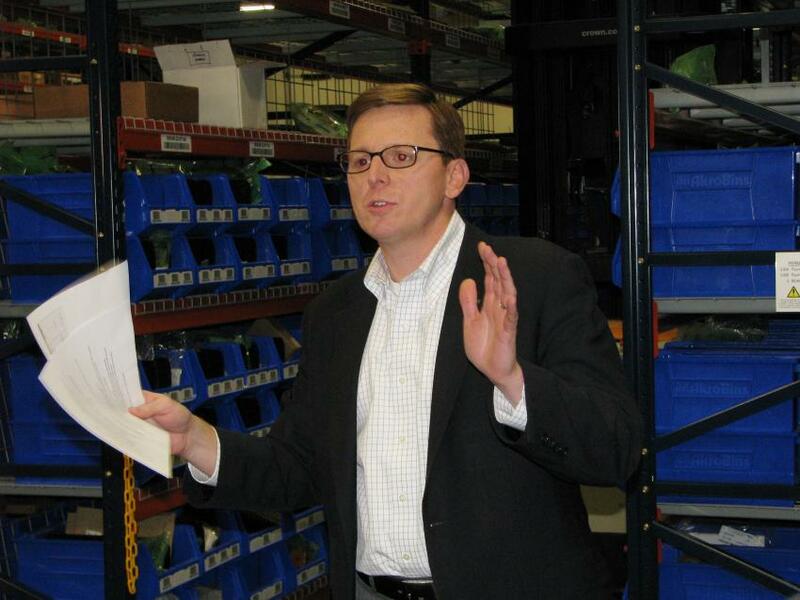 Guests were provided a complete guided tour of the parts distribution facility. (L-R): Doosan dealer Don Partridge and Dave Goodsell of Bobcat of Omaha, Omaha, Neb., talk with Doosan’s Clay Caldwell about delivery logistics of the distribution center. 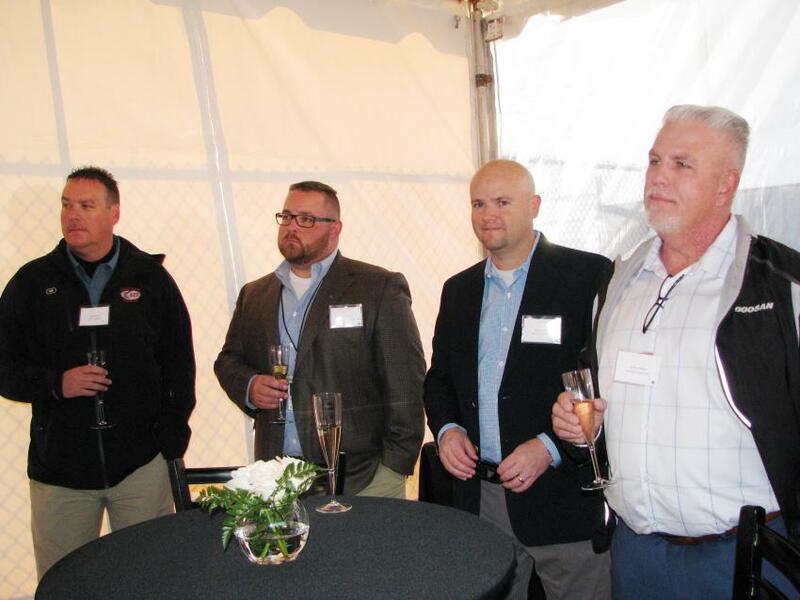 (L-R): Britt Hefner, ACT Equipment, Charlotte, N.C.; Ben Chris, Doosan Infracore North America, Southeast district manager; and Whitney Page and Scott Hasier of Synergy Equipment, Tampa, Fla., prepare to raise a glass to toast the grand opening. 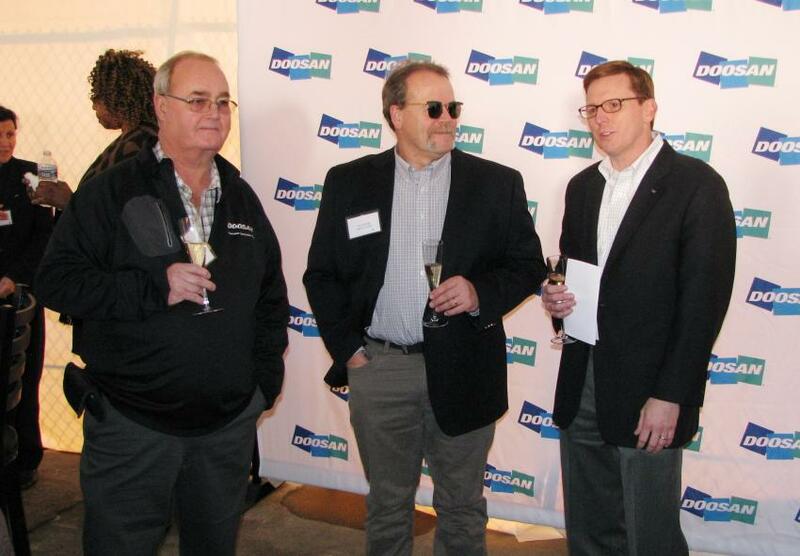 Doosan staff, dealers and guests socialize after the ribbon cutting. 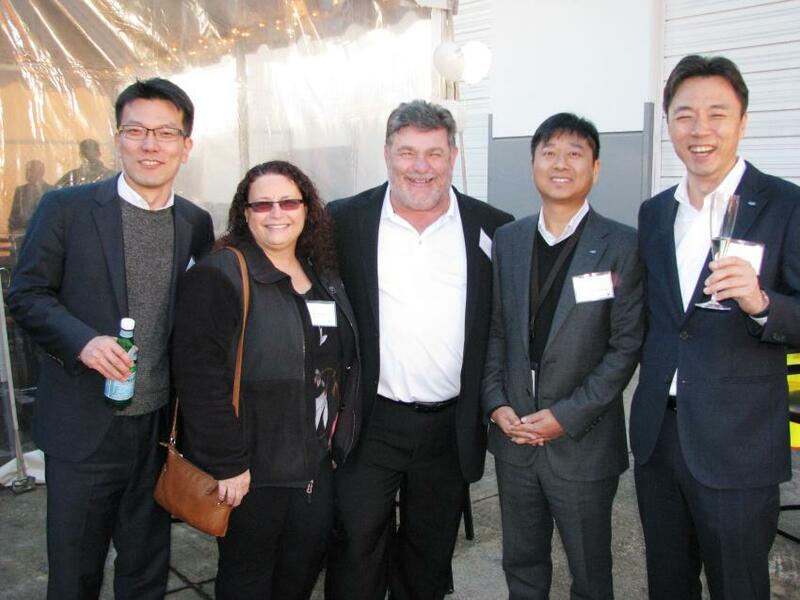 Enjoying the day’s festivities at Doosan Infracore in Suwannee, Ga., (L-R) are Youngkeun Joung, Doosan Infracore; Gilda and Giovanni Albanese, Equipment East, a Doosan dealer based in Massachusetts; and Jaeuk Kim and TK Choi of Doosan Infracore. 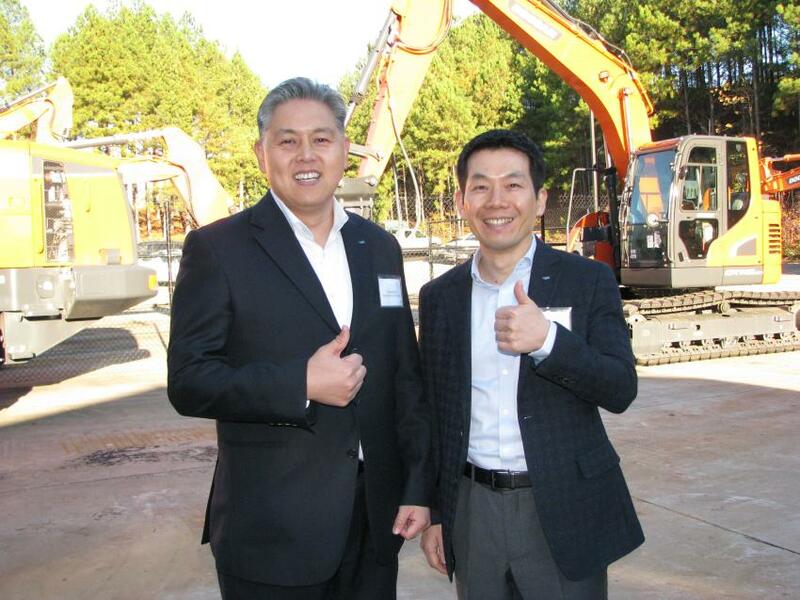 As the ceremony wrapped up, Edward Song (L), CEO of Doosan Infracore North America, and Jongseon Ahn, executive vice president of Doosan Infracore, South Korea, gave it a thumbs-up. 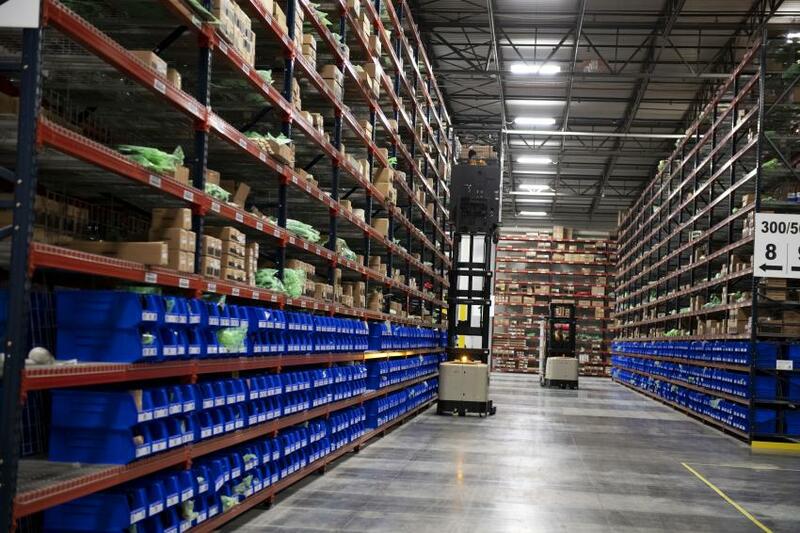 The new, 100,000-sq.-ft. distribution center serves dealers and customers in the United States and Canada.